SUNLIT UPLANDS: Marxist "Community Organizer" Calls Catholic Schools "Divisive"
Marxist "Community Organizer" Calls Catholic Schools "Divisive"
The most divisive President in American history - a militant, Marxist thug - offended Catholics throughout the world, particularly those involved with America's largest, successful school system - by lecturing the people of Northern Ireland about his perceptions of religious education as "divisive." Better for the likes of Obama that we should all be "dumbed down," unable to call on history to recognize tyranny, formed into compliant Obamunists who have not read America's founding documents, who haven't a clue about unalienable rights that belong to the children of God, who are unable to engage in critical thinking and logic, who have their minds filled with popular "culture," and who leave decision making to political elites, like Obama, who know what is best for them. Since he knows so much about education, why do his own government schools rank below those of most industrialized nations, including those to whom he directed his condescending remarks? We ask again, when will the Congress of the United States remove this illegitimate "President" who has done anything but "preserve, protect and defend the Constitution of the United States"? We hope that Irish Catholic and Protestant educators will make haste to visit the Chicago Public School System so that they can see first-hand the vision Obama has for them. 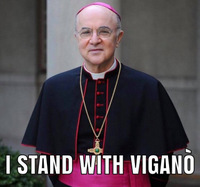 A report from The Scottish Catholic Observer follows. 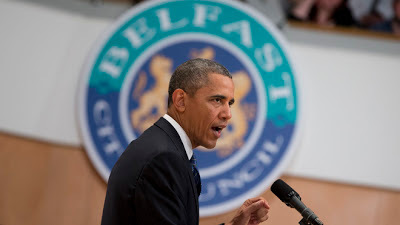 President Barack Obama (above), repeated the oft disproved claim that Catholic education increases division in front of an audience of 2000 young people, including many Catholics, at Belfast’s Waterfront hall when he arrived in the country this morning. 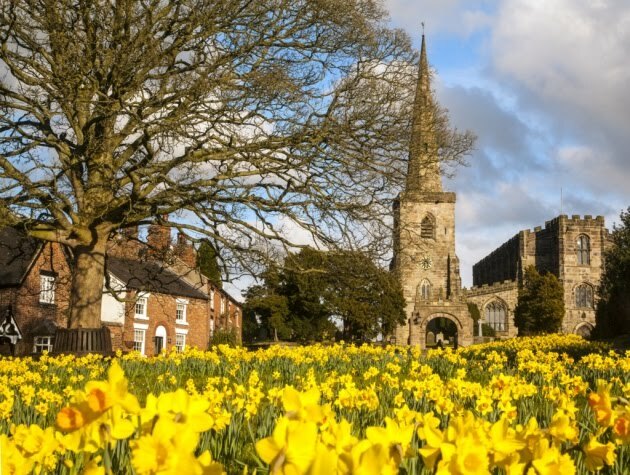 “If towns remain divided—if Catholics have their schools and buildings and Protestants have theirs, if we can’t see ourselves in one another and fear or resentment are allowed to harden—that too encourages division and discourages cooperation,” the US president said. The US politician made the unfounded claim despite a top Vatican official spelling out the undeniable good done by Catholic education in a speech in Glasgow on Saturday and in his homily at Mass on Friday. 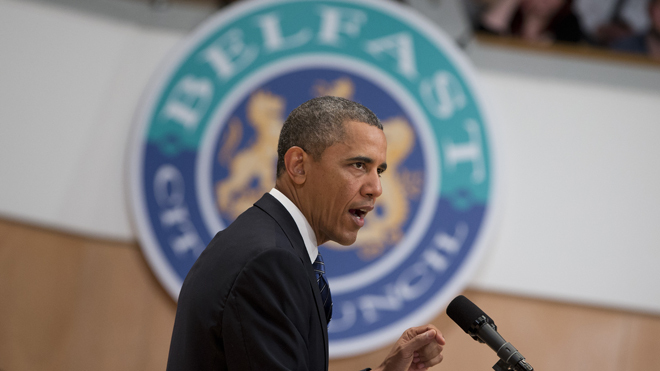 Mr Obama is in Northern Ireland to take part in the two day G8 Summit at the Lough Erne resort in Enneskillen.